HWB Team: "Precision in Excavation"
The year 2015 has been an eventful year for our HWB Team, full of many activities and discoveries. we had a chance to present our ideas at the Sankalp Africa Forum, which enabled us to reach investors and fellow innovators from all parts of the globe. 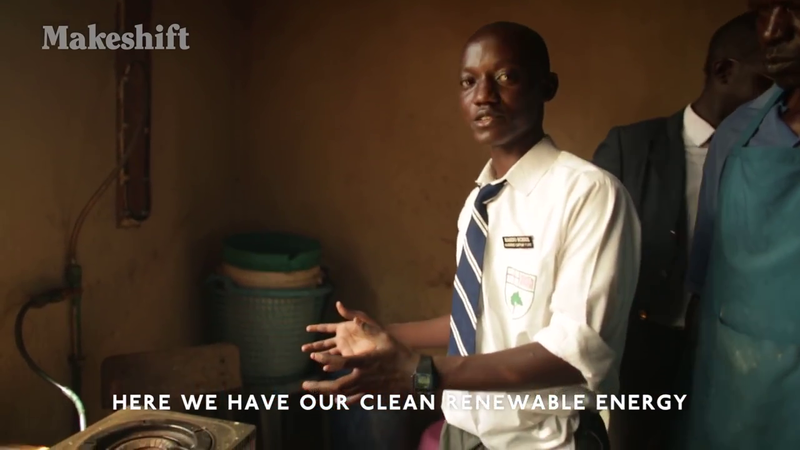 We have made major steps in our project by producing biogas for our school kitchen from a prototype biodigester. and still, we have big dreams. With Elli Suzuki, Chief Operations Oficer, GMin at Strathmore University. The first third of the year wraps up with commendable mentorship programmes gone through by the HWB team, as well as progress. Mid-January saw our project being nominated for the 2015 Index Award . 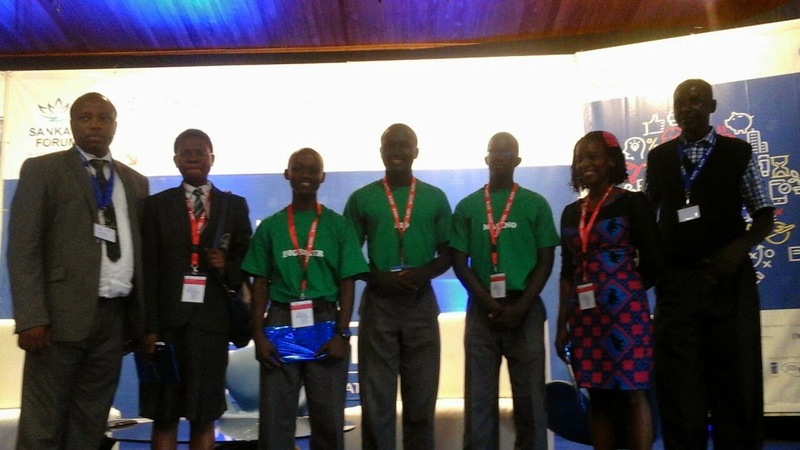 Credits to Arielle Mollino who works with Intellecap, on the 6th of February Amos Dede, Charles Midamba and I presented our project at Sankalp Africa Summit in Strathmore University graced with delegates from 25+ countries. This was a distinct opportunity to learn from big company CEO’s who have battled their way to the top ranging from Safaricom’s CEO , Bob Collymore to Stathmore’s University, Elisha Ndungu. 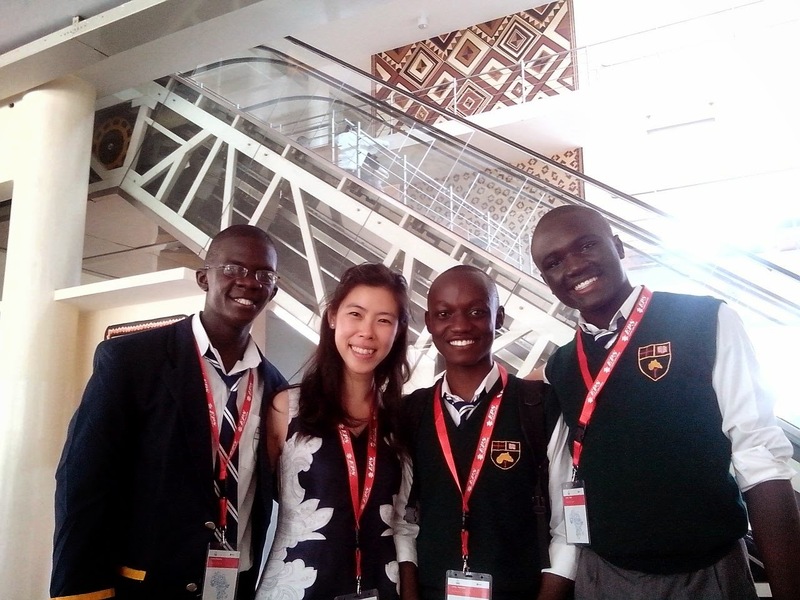 We were lucky enough to have Global Minimum’s Chief Operations Officer, Elli Suzuki and 2014 Innovate Kenya’s , Abdallah Mohamed.It was a pleasure to meet with other student innovators eg Akaeza Kpankpondo from Nigeria who invented a Urine Powered Generator. Thanks to Makeshift , a premier video featuring our project released on 23rd February on their Youtube Channel, special thanks to Alicia who led the team. The video was followed by a media mention after a phone interview from Alex court from CNN. This month I was at iHub’s community space discussing on how we will take HWB to the next stage with Ariam Mogos, Global Minimum’s Programme Director filling in for my fellow team mates, Amos Dede and Charles Midamba who were in the National Drama Festivals, Nakuru. Big thank you to everyone who has been inputing their effort into the team to make us prosperous even as we face an accountability partner in November that will shows us life hasn’t started yet_KSCE!